Former Chelsea star and manager Gianluca Vialli has let slip that Antonio Conte is ‘desperate’ to get out of the club due to one of their key recruitment policies. 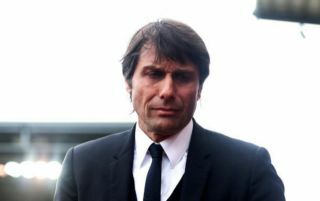 The Italian claims that Conte is not happy with how transfers are conducted at Stamford Bridge, with the Blues supposedly making a number of signings without consulting their manager at all. While Conte shone in his first season at Chelsea, guiding the club to an emphatic Premier League title win and an appearance in the FA Cup final, things have gone far worse in his second campaign. The 48-year-old’s future has looked in doubt for some time as he’s sounded unhappy with life in west London for so much of the season, and Vialli has more or less confirmed that his compatriot is itching to leave. While there may be a number of factors involved, Vialli has suggested it is primarily the recruitment strategy that has irked Conte and led him to look to quit Chelsea. ‘Conte can’t wait to leave Chelsea,’ Vialli told Sky Sport Italia, as translated by the Metro.